WASHINGTON (AP) — The Obama administration unveiled plans Wednesday to create an elite corps of master teachers, a $1 billion effort to boost U.S. students' achievement in science, technology, engineering and math. An aide to Rep. John Kline, R-Minn., chairman of the House Education and the Workforce Committee, noted that the federal government already has more than 80 teacher quality programs and said it would be foolish to pump money into programs that may be duplicative or unproductive. "Republicans share the president's goal of getting better teachers in the classroom," said Kline spokeswoman Alexandra Sollberger. "However, we also value transparency and efficient use of taxpayer resources." Education Secretary Arne Duncan said he expected the two parties to come together to support achievement in areas of high demand. "This initiative has nothing to do with politics," Duncan said. "It's absolutely in our country's best long-term economic interest to do a much better job in this area." A report released in February by the President's Council of Advisers on Science and Technology found that the U.S. must increase by 34 percent the number of students receiving degrees in science, math and related fields to keep up with economic demand. The program will start with 2,500 teachers divided up among 50 different sites, the White House said, but will grow to include 10,000 teachers over the next four years. 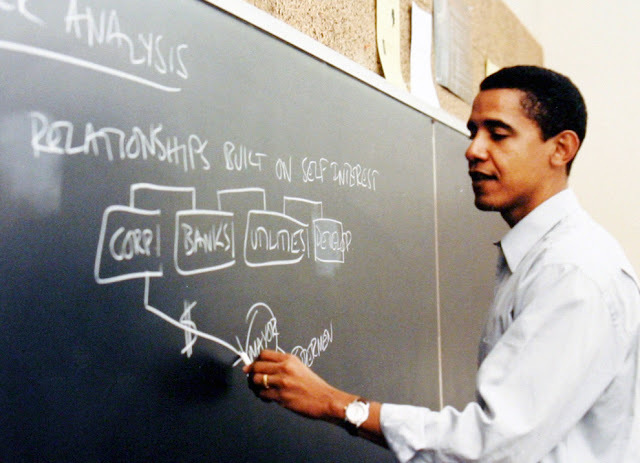 Obama, in partnership with a coalition of groups including the Carnegie Corporation of New York, has set a goal of producing 100,000 additional math and science teachers over the next 10 years.